“Kindness is best learned by feeling it.” Cultivate kindness in your classroom and watch the ripples grow & spread. 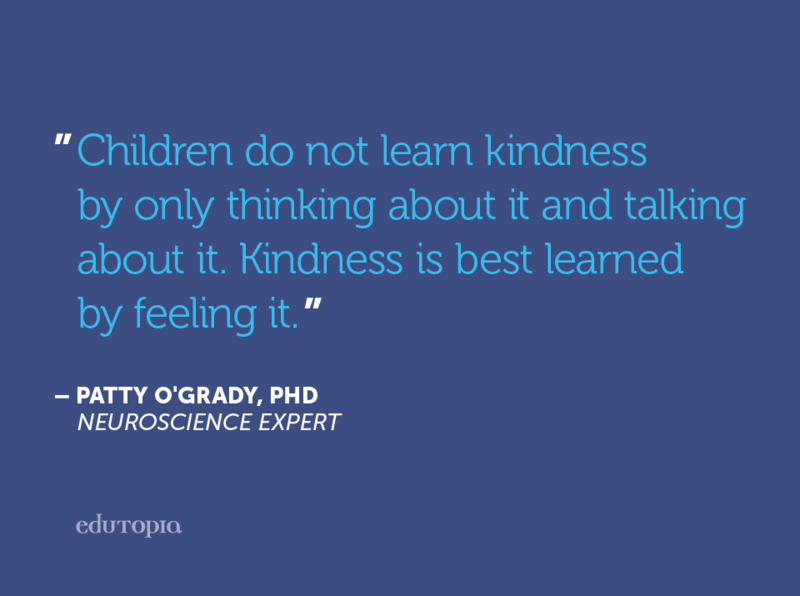 It’s an amazing thing to watch kindness catch on, AND studies prove that students learn better when they feel supported, appreciated, and safe. Be a Role Model: I am a big believer in the need for teachers to show kindness to their students. Heck, what does a smile cost us? Not one thing!! And you never know when that smile you give to a student might just be the only one he or she receives all day. Get Involved: Many teachers have started random acts of kindness projects in their classrooms. Others get the students involved by holding a food drive, a sock drive, or a diaper drive to support community organizations such as food banks and homeless shelters. There are so many little things that even our youngest students can participate in. Being directly involved and taking a hands-on approach to helping others will in-turn help foster kindness, gratitude and empathy in our students. Strengthen Bonds, Build Community: When our students feel loved (or at least liked) in our classrooms, they feel comfortable and capable. Resilience is strengthened. They can take risks. That hard to reach or “tough” student can let down some barriers and even show kindness and caring to others. Students feel responsible for their classroom and larger community and engage in building it up rather than tearing each other down. I like to think of it like a wave of kindness that starts when one person reaches out to another. Start that ripple and watch it grow. Happy November everyone. May this season of thanks and giving be a healthy & happy one for you.